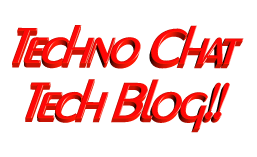 AWS PowerShell | Techno Chat|Tech Blog!! I personally can’t imagine supporting a big infrastructure without introducing automation and to automate something you have to use command line. If you are more into Windows and started working on AWS for your clients, then I assume that you would love to start managing AWS using AWS PowerShell Module like I do. AWS Console is really good and informative but when it comes to bulk activity I am always depending on PowerShell. There is a very good documentation created by Amazon for AWS PowerShell, you will get the basic help for all the available PowerShell cmdlet from here. It will be very much helpful for you to start working on AWS PowerShell, but unfortunately when it comes to using filter available for those cmdlet, you won’t be able to find any good example. Using filter on a AWS cmdlet will be a smart move and it also reduce the total execution time. Initially I also struggled to get this working due to lack of examples, but later I figured it out, and now I always try to utilize filter and I am writing this to you help you understand how easily we could use this. Some of the sample, hope this will help you. Extract the list of the snapshots under your ownership. Posted in AWS, PowerShell, Scripts. Tagged AWS PowerShell, AWS PowerShell filter, How to use AWS PowerShell Filter.